We all know the story: Devan Dubnyk bursts onto the scene for the Wild in Buffalo, and instantly turns the season around for a Minnesota team that was going nowhere fast. After a trade that sent him from sunny Arizona to the winter wonderland that is Minnesota, Dubnyk exploded while starting 39 of the final 40 games of the season. His brilliance earned the 29-year-old Calgary native a 6 year, $26M contract extension with the Wild. Here’s a look back at how it happened, as well as a glance into Dubnyk’s future in our latest Wild Watch player profile. 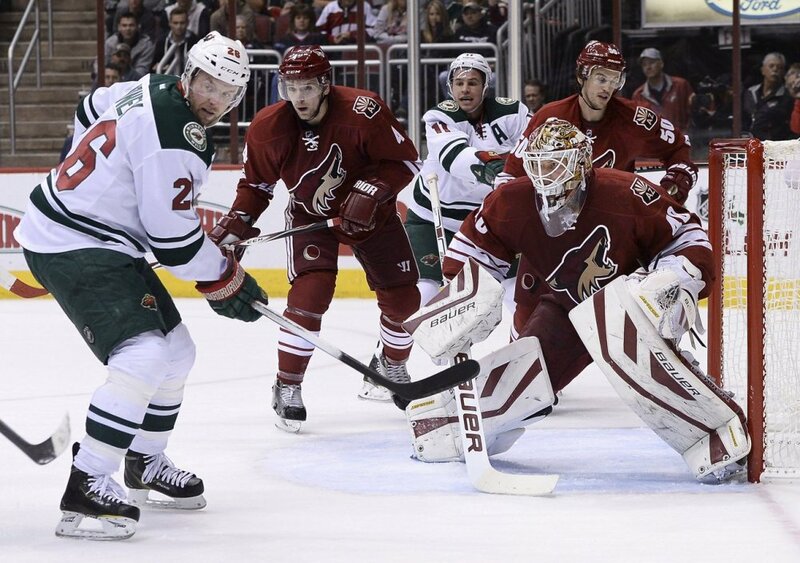 After bouncing around within a few organizations the year previous while struggling to find his game, Dubnyk started the season in Arizona after signing a 1 year contract with the Coyotes in the offseason while he was an unrestricted free agent. He then proceeded to play in 19 games for the Yotes while compiling a 9-5-2 record along with a 2.72 goals-against-average (GAA) and a .916 save percentage (SV%). To put those numbers in perspective, consider that the Coyotes’ ended the year giving up 3.26 goals per game as a team; only Buffalo and Edmonton had worse numbers in that category. Chuck Fletcher saw this and, with his Minnesota Wild embroiled in their own goalie dilemma, pulled the trigger on a trade that brought Dubnyk from Arizona to Minnesota for a 3rd round pick. He made an immediate impact. He also had fans in awe with saves like the one below. Dubnyk’s first game in a Wild sweater was in Buffalo where he stopped every shot he faced in a 7-0 Wild blowout of the Sabres. Making the performance all the more impressive was the fact that Dubnyk had to take the red-eye flight from Arizona to make it to Buffalo for the game that evening. Dubnyk was instantly a great teammate as well. Just one day after he was acquired via trade, he attended the funeral of beloved former North Star J.P. Parise, Zach Parise’s father, who had passed away after a long battle with lung cancer. On the ice, Dubnyk was the savior of the Wild’s season. In 39 games he went 27-9-2 with a 1.78 GAA and a .936 SV% while completing 5 shut outs; Dubnyk’s play was good enough to earn him a Vezina Trophy nomination for the leagues best goaltender as well. With the ink not yet dry on his brand new contract, the question on the minds of most in the hockey community is whether or not Dubnyk can pick up where he left off last season. Dubnyk enters the 2015-2016 season with a new contract. His $4.33 millon cap hit makes him just the 21st highest paid goalie in the NHL; not bad for a guy who had the kind of season Dubnyk did last year. 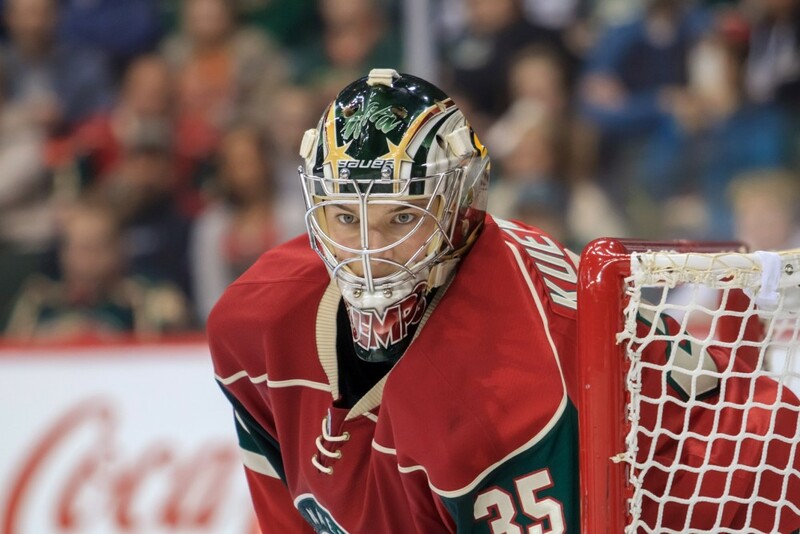 Dubnyk was undoubtedly Minnesota’s MVP last season and that will continue into this season. At least it had better if the Wild want to make a meaningful run at a Stanley Cup. Backup Darcy Kuemper has been inconsistent and hasn’t played regularly in 9 months while Niklas Backstrom’s career is likely all but over. The problem is that Dubnyk can’t play every game between the pipes. Kuemper will probably have to play at least 20 games or so and if he plays the way he had been before Dubnyk’s arrival, Minnesota will be lucky to go .500 in those games. Perhaps Kuemper will surprise everyone and have a strong year but until we see it, he remains a suspect goaltender. That will make the starts Dubnyk gets of even more importance. Dubnyk has allegedly looked great in the offseason workouts and appears poised to have another great year. He has the team in front of him to do it and provided his health is good, there’s no reason he shouldn’t be able to deliver another solid season. The Wild will need him to do just that.